FAQ: Why should one use fluid filtration for cleaning vinyl records? 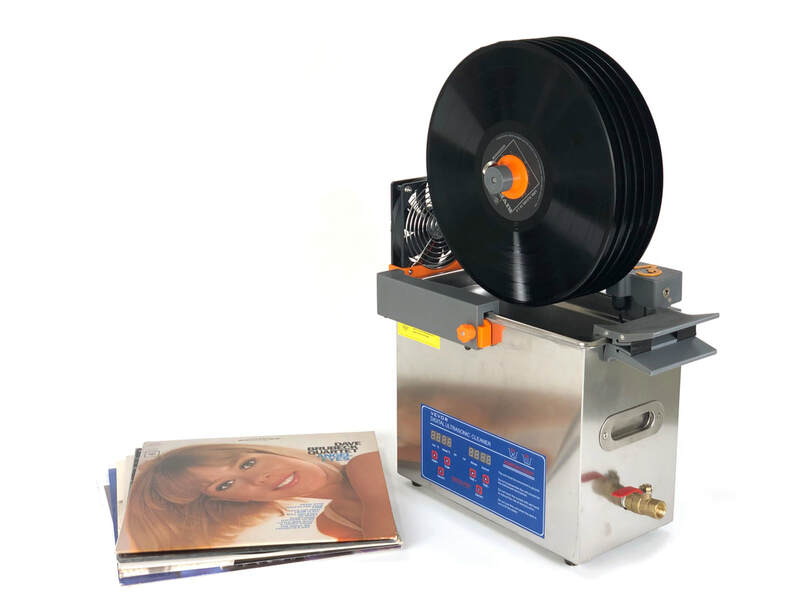 Why should one use fluid filtration for cleaning vinyl records with an ultrasonic cleaner ? It is a bit like dishwashing: Once the dirt is in the water, you want to rinse the dirty water off the dishes with some clean fresh water! With vinyl records one can do the same, of course: You can drain the tank after a first clean, fill in a clean batch of cleaning fluid and do the rinse step. This is a very time consuming approach, and when you clean batch after batch this can get tiresome quickly! Enter our 6 and 10 liter tank Micron fluid filtration systems: They continuously purify your cleaning fluid through an (industry leading) 1 micron rated particle filter. A 6 liter tub is circulated in about 4 min (10 liter in ~6 min), i.e. any removed dirt is filtered out of the water before the cleaning process is finished. The consequences are that no rinsing step is needed, and that the fluid can be used for many batches. Just run batch after batch and only replace the fluid once in a while. Especially when combined with a CleanerVinyl system with a Lift feature like Easy6, the cleaning process is sped up considerably since the tank does not even need to be emptied for drying the records. ​Go sleeve-to-sleeve in less than 45 min! The CleanerVinyl advantage! CleanerVinyl Micron (red trim - also available in orange) in tank filtration system. Uses a 1 micron rated particle filter and circulates the cleaning fluid once every 4 min in a 6 liter tank. CleanerVinyl Easy6 Audiophile Kit: Clean 6 records at a time in Micron purified cleaning fluid. Includes RPM adjustment, integrated 7" singles adapter, and an elevated drying position with integrated fan.